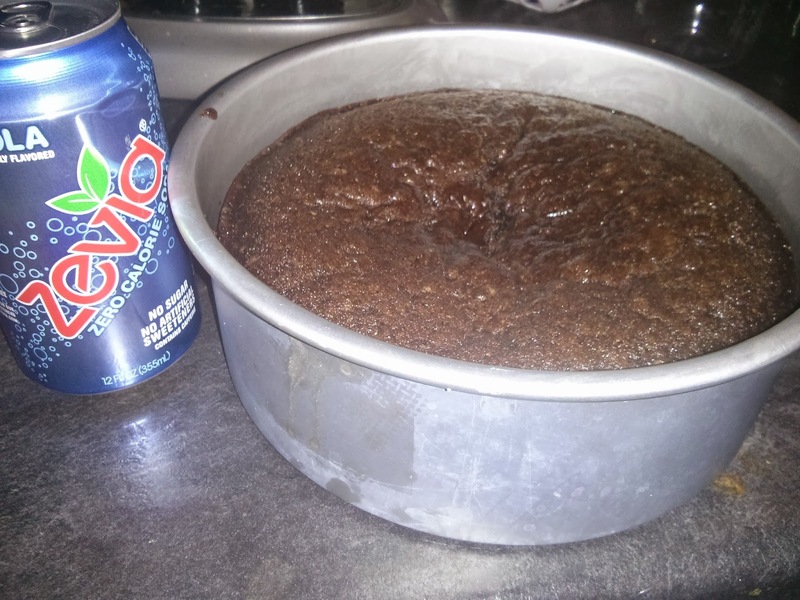 For the Love of Zevia... and Cola Cake Recipe! I'm basically in love with Zevia soda now. See, way back when, I used to be a huge diet soda junkie. In fact, my girlfriends and I could polish off several bottles of diet cola while pulling all-nighters and playing cards. Oh, to be a teenager again. If I were a teenager in 2014, I would have done the whole soda thing a lot differently. I would have chosen Zevia. For anyone who has not heard of Zevia, it is zero calorie soda that is naturally sweetened with stevia, erythritol, and monk fruit extract (the monk fruit is a new addition to their product). These non-sugar sweeteners have no effect on your glycemic index and therefor do not trick the body that you are getting sugar or not getting sugar; there is just no effect at all. Zevia has 15 flavors of soda (sweet, right!?) and so far my favorites have been, cream, cola, ginger ale, and black cherry. I'm super excited to try their root beer, dr. zevia, orange, lime cola, and grape flavors; if they are anything like what I've already sampled, I can say for sure that they all taste amazing! Upon initial tasting of the cream Zevia, it was hardly noticeable that this was a "diet" soda at all. At first, it almost tasted like a cane sugar soda, but then after a few seconds you get the stevia aftertaste, which is similar to the diet soda aftertaste except this is not a chemical aftertaste at all like with aspartame or saccharin. The cream taste was crisp and delicious and the same goes for ginger ale and cola. I absolutely loved the cola because it tasted more like a regular cola than a diet one. With black cherry, you can taste it as soon as you open the can and bring it towards your mouth, that is how powerful the flavor is. The cool thing with these flavors are, that they are so apparent yet so natural and clean tasting. Some other sodas that are artificially flavored have that strong flavor but taste so disgustingly chemical. I love the fact that Zevia is naturally flavored and has that really delicious way of representing each of it's flavors. It is actually very difficult to choose a favorite flavor because of how much I enjoyed each one. Bravo to the folks at Zevia! So, since I have all of these cans of Zevia handy, I wanted to do a recipe. Yes, a recipe with soda in it! I decided to do a cake and let me tell you, it came out freaking amazing! 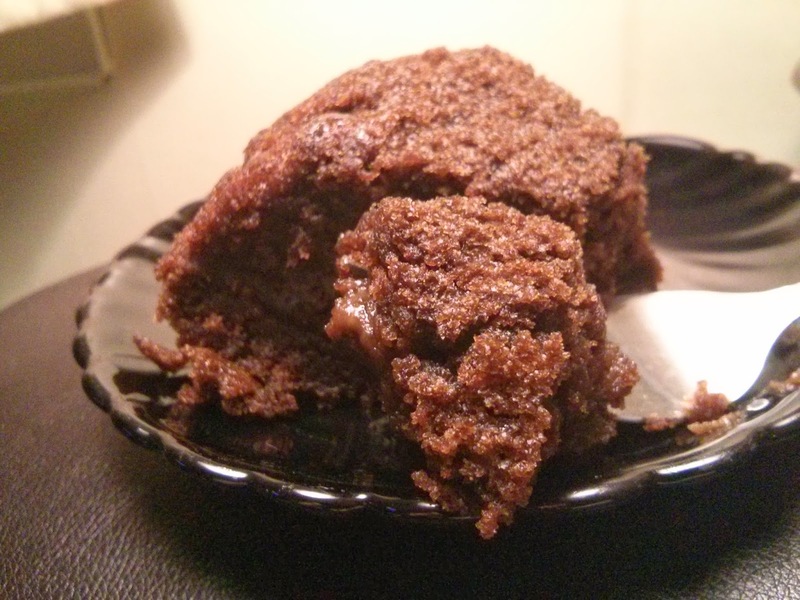 I tried this cake a few different ways while I was experimenting; I tried it once with cream and once with cola. Also, I made this in two variations; once with chocolate chips and once without them. In all variations this cake came out super delicious! It is very moist and easy to work with and tastes amazing without any frosting at all. Yes, it is that cake, you know the cake that you can eat without having to make frosting as an additional step. However, this cake would be perfectly yummy with whatever frosting or glaze you choose. I might be trying this recipe with frosting, but I truly did enjoy the cake just itself. So here it is, the only cake you will ever love! Preheat oven 350 degrees and grease your pan (I used an 11 inch round but you can use your favorite pan). In a small bowl, mix together flax and water and set aside. In a large bowl, combine your dry ingredients (flour, sugar, baking powder, baking soda, cinnamon, and salt) and set aside. In a sauce pan combine butter, cocoa powder, Zevia soda, and vegan milk and stir constantly on medium/high heat until brought to a boil, then remove from heat. Add vanilla to the sauce pan mixture then mix in your flax mixture. Lastly, combine your dry and wet ingredients and pour into your greased pan. Bake for 40 minutes or until a toothpick can be inserted and removed cleanly. To make this a chocolate chip cake, after combining dry and wet ingredients, fold in 1/2 cup chocolate chips, pour into greased pan, then sprinkle 3 tbsp chocolate chips on top. Bake the same as above. And for now, the Dirty Vegan is signing off. Cake wishes and soda dreams! Real Cultured Almond Milk Cheese...Vegan-Friendly! 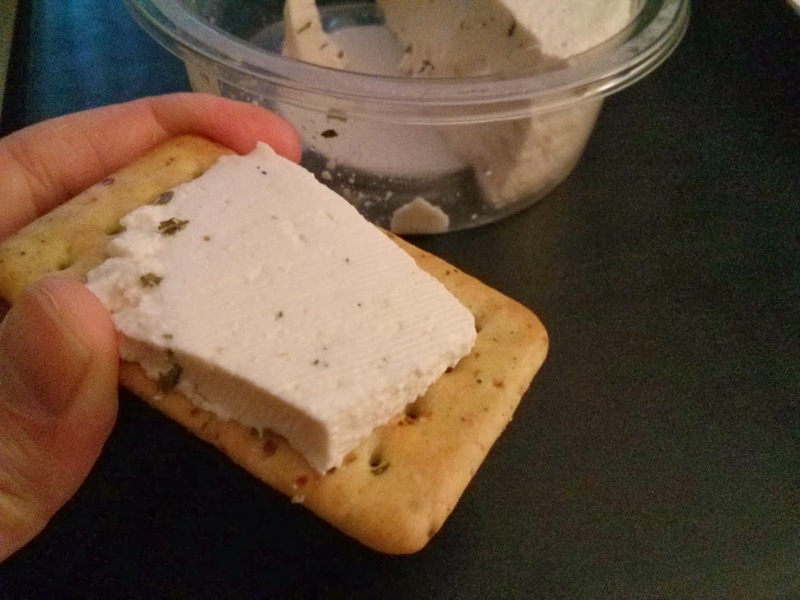 One of our vegan pals that we ran into the other day, told us about this new vegan cheese available at WholeFoods. He said that it is located in the dairy section with the other artisan cheeses and it is made using the same process as you would to make dairy cheese, except this cheese is made with vegan products. We definitely wanted to give this cheese a try; needless to say, we were quite intrigued after hearing about it. These nut cheeses are made by a company called Kite Hill. They are artisan cheeses and are definitely pricey (about $14), but are really delicious and worth it. 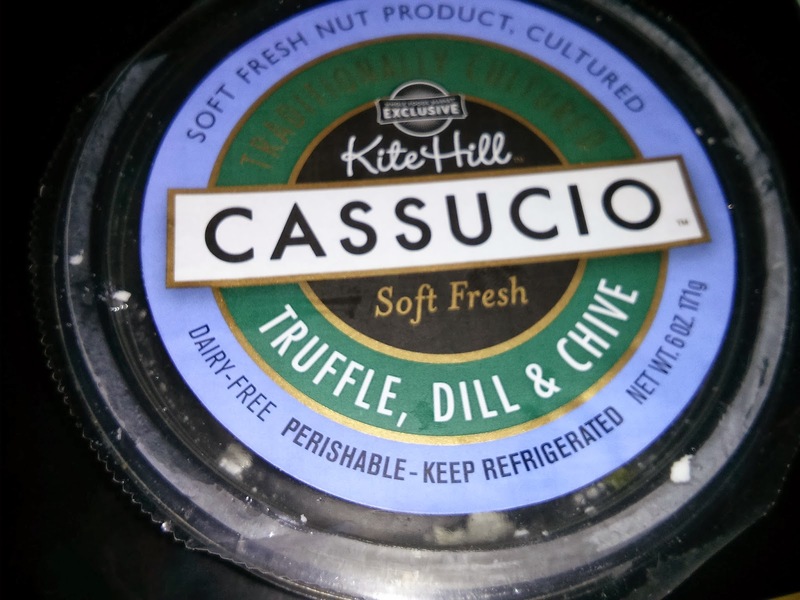 We tried the Truffle Dill and Chive cheese, Cassucio. My first impression of this cheese was that it reminded me of tofu, in taste and consistency. There is no tofu at all in this cheese. I had never really had artisan cheeses before. My husband on the other hand, said that this cheese reminded him of brie. I definitely enjoyed this cheese on crackers. It cuts well and easily and looks beautiful. This cheese would be great to serve to your party guests. Considering my husband has had cheeses of this caliber before, he said Kite Hill Cassucio measures up. 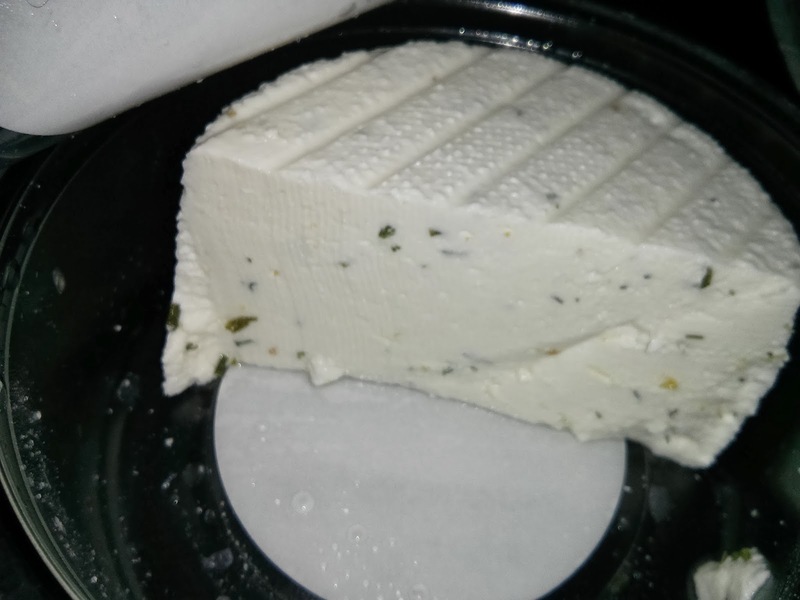 The chive and truffle in this cheese was very delicious. This cheese has a very light, clean, and refreshing taste. It definitely does not sit like a brick in your stomach like some other vegan cheeses seem to do. My theory is that it is because of the natural and easily digestible ingredients. I'm sure my body just knew what to do with this food and used it as fuel efficiently, which is great because I enjoyed eating it so much! Overall, I liked this cheese and believe that it was well worth the hefty price tag. It might not be something that we can get every single week, but it is definitely superb for celebrating, hosting, and special occasions. I would love to try the other flavors of cheese that Kite Hill has to offer! Have you tried this cheese, and if so, what do you think of it? If not, would you try this vegan artisan cheese at $14 a pop? And for now, the Dirty Vegan is signing off. Have a vegan-cheesy day! I love going into WholeFoods because it feels like vegan Christmas (that you pay an arm and a leg for, but nonetheless vegan Christmas) every time. It feels like there are new vegan products constantly rotating and I love checking out the goods! WholeFoods bakery has added some new cakes and has a great selection of house-made vegan cupcakes. 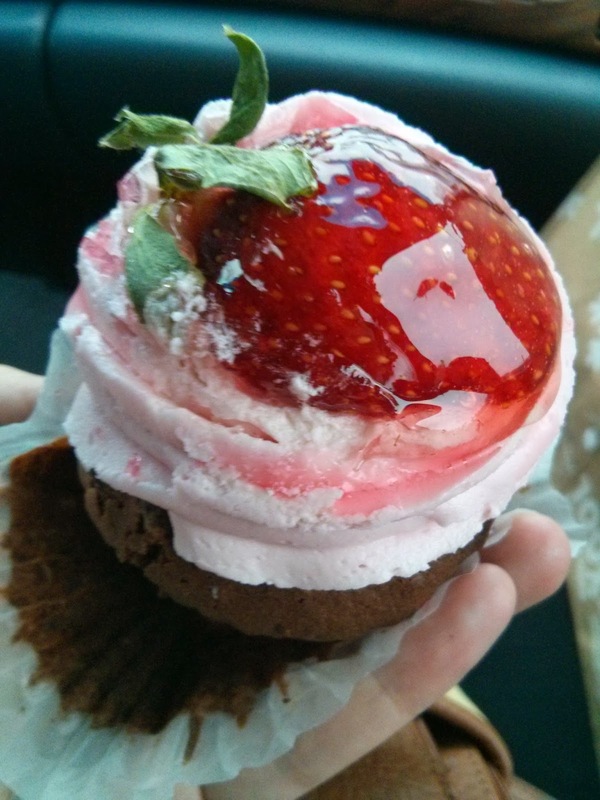 Pictured above is the chocolate chip chocolate cupcake with strawberry frosting and a pretty glazed strawberry on top. They do a great job with their cupcakes corresponding with seasons and holidays also; I love that! They've done really neat ones for Halloween; this seems to be their Valentine's Day one. Whole Foods has an awesome vegan dairy selection. Unlike other grocery stores that will carry a few items, you'll find a vegan alternative to any dairy product at Whole Foods. I've seen vegan kefirs, sour creams, cream cheeses, shredded cheeses, Parmesan cheeses, cheese slices, cheese blocks, yogurts, milks, creamers, and ice creams at Whole Foods. Recently we found an amazing almond cheese that is cultured and made just like dairy cheese and located in the artisan cheese section. Please read my full review on this awesome vegan cheese in tomorrow's post. 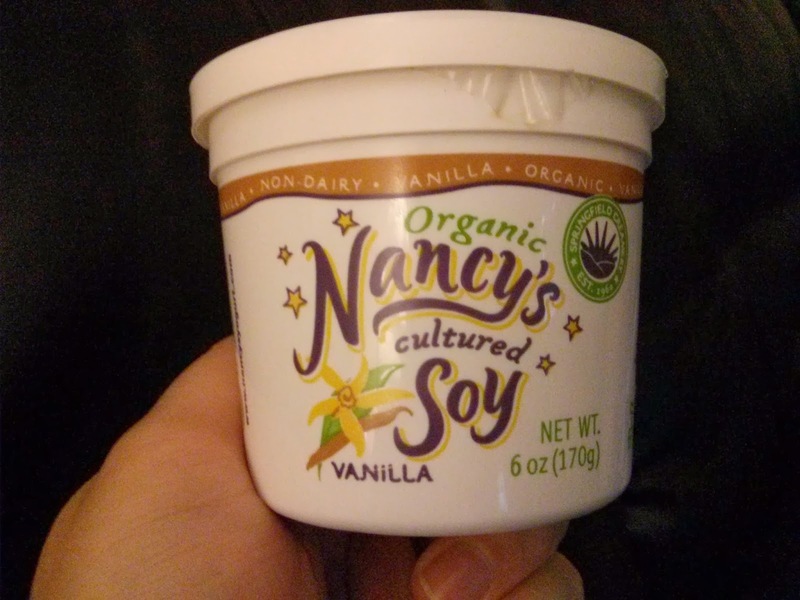 Another cool new vegan dairy item I've discovered there is Nancy's Cultured Soy. I tried the vanilla flavored yogurt. My first impression was that I loved the container and plan on washing and re-using it for various things. Initially the soy, brown rice, and maple syrup taste was a little overwhelming, but then once I took a few more bites and got used to it, I actually found it quite delightful! This yogurt is extremely natural and simple with only a few recognizable ingredients. So natural that I gave my baby a try and she loved it! I've been wanting to start her on vegan yogurt and I think this brand is great. Nancy's also has 4 grams of protein per serving, is GMO-free, and is low sodium. I plan on getting more containers of this yogurt to keep on hand for the family. I can't wait to try the other flavors. So those are a couple new vegan products at WholeFoods. I will be sure to report back again soon! And for now, the Dirty Vegan is signing off. Have a strawberry-glazed-sweet day! New Products I'm Loving Right Now! You know how I love checking out cool new products, right? I take great pride in trying vegan products to review and give you the scoop on the best ones. Who am I kidding? This is the most fun job ever! Here are some new products that I have come across recently and am totally in love with. I found these in local grocery stores, in the natural isles, so they are not hard to find or only located in specialty health stores. Not only are these crazy-good, they are easy to obtain. Let the yum begin! 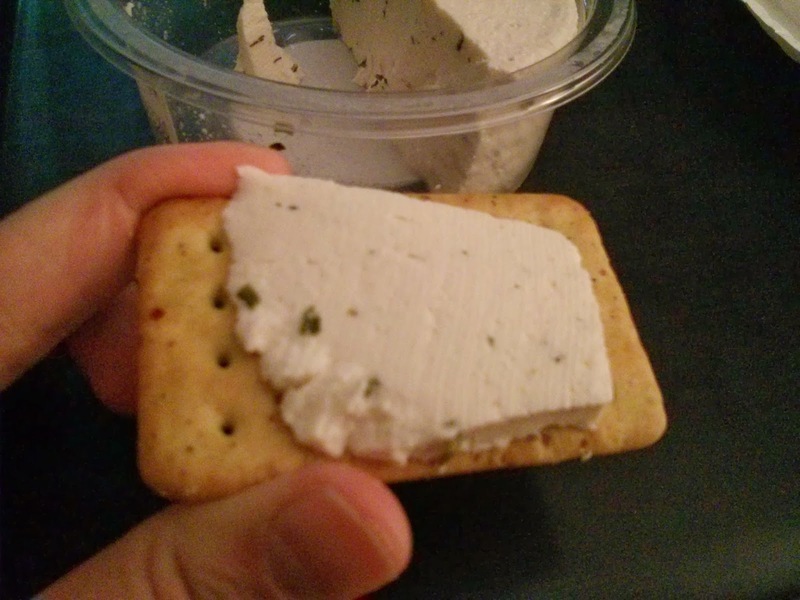 Go Veggie continues to get me into trouble with their delicious vegan cheese products! This strawberry cream cheese is phenomenal. It is all that I remember about strawberry cream cheese as a kid and then some. I ate this on bagels, soft fresh baked bakery bread, and even made cake balls with it! On the fresh bread it tasted like a pastry dessert! This would also make a mighty fine cheesecake. Perhaps that will be one of my upcoming dessert recipes! 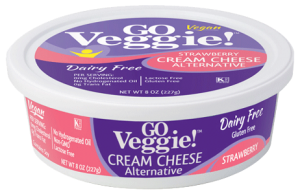 I definitely recommend this cream cheese, it is superb and my favorite Go Veggie product next to their vegan parm. I love Lara Bars, and although they are absolutely delicious and even dessert-like, they were somewhat lacking in the protein department...until now that is. ALT bars contain a whopping 10 grams of protein per tiny bar. What an easy and delicious way to get your protein, especially on the run. 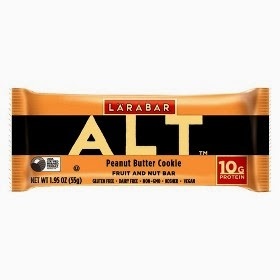 These are great for before or after the gym and the Peanut Butter Cookie is absolutely delicious! 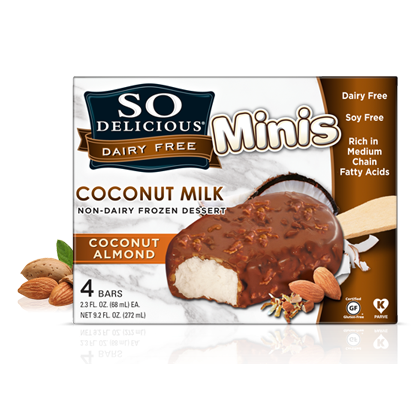 SoDelicious is another vegan food brand that gets me into a lot of mischief. If you remember what Almond Joy candy bars tasted like, well this is their vegan ice cream twin. I literally savored each and every single bite of these scrumptious little frozen treats. Get this one, each bar is only 170 calories and even has 2 grams of protein! Now that is a reason for me to eat one of these with each meal! This is my favorite new product right now and I am absolutely crazy over it. We found this popcorn in the store by chance, checked the ingredients, and found that they were vegan and really natural (only 3 ingredients). 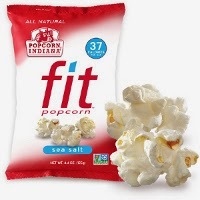 This popcorn is just 37 calories per cup but tastes like movie theater, buttery popcorn! Not sure how they do it, but it has now become my favorite popcorn. Another cool fact is that it is Biggest Loser approved. If Jillian Michaels says its okay to eat this on our weight loss diets, than I'm all for it! Another neat fact is that if you eat the entire bag it is still less calories than one serving of the fattening popcorn that you might get at the movie theater. And for now, the Dirty Vegan is signing off. Hooray for vegan snacks! Attention Mommies! 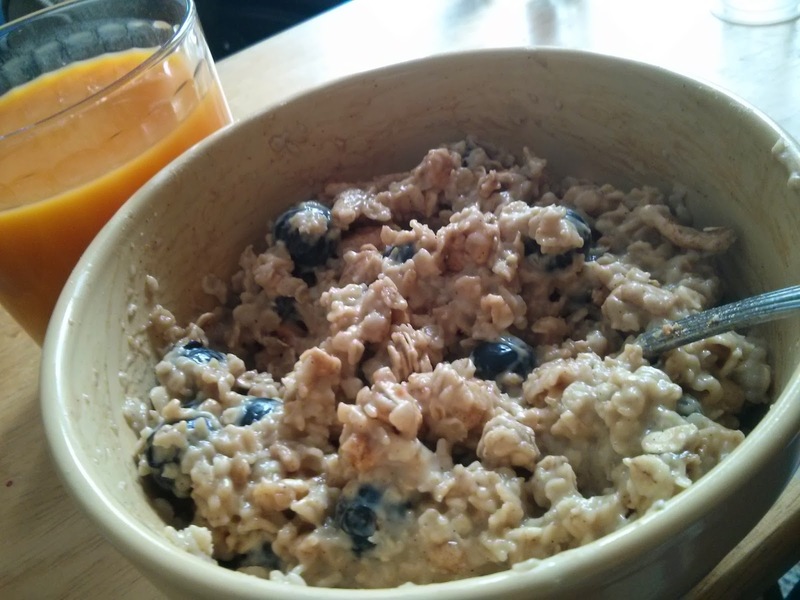 Oatalicious Breastfeeding Breakfast! For me, there is nothing more boring than a bowl of plain oatmeal. And for me, there is nothing that boosts my milk supply more than a bowl of oatmeal. With that being said, I have gotten creative with my bowl of morning oats. Here is a recipe that I love for taste and as a great breastmilk supply booster. If you try this for milk boosting, I would suggest eating it for a few days in order to start seeing a difference. Sometimes I notice a difference just after one bowl and sometimes I notice the increase after a couple days, but then it is a huge difference. Let me know how it goes for you or how you like this recipe! Place quick oats and vegan milk in a bowl and microwave for 2 minutes. Stir and melt in nut butter. Mix in cereal and berries. Enjoy with a glass of mango smoothie! Beer Battered Buffalo Tofu! YES, I just said that! I am still sticking with the spicy theme that is going on this week. 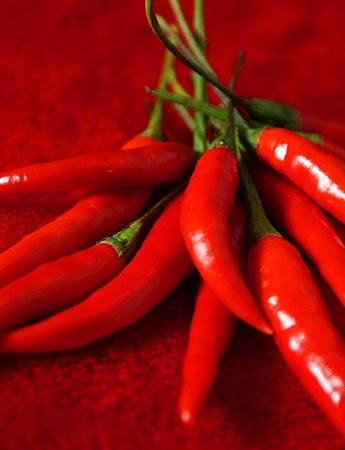 For some reason, I am loving all things hot and spicy! Here is a recipe I made last night and it was amazing! I do not have pictures of said recipe because it was so yummy that we scarfed it down too quickly to be photographed. So just use your imagination...and trust me it was spectacular! Drool over my 'Beer Battered Buffalo Tofu' recipe! Drain and press tofu (I used my TofuXpress gadget to do this). Cut tofu into cubes. Heat your oil for frying (careful with hot oil please). Pour beer into large bowl then add flour, paprika, and salt. If your batter is not thin enough, add water to adjust. You want the batter to be thick like glue but not too thick that it won't cover the delicate tofu properly. Batter those suckers! Pan fry your tofu for about 5 minutes per side, flipping until all sides are cooked evenly and golden brown. Once battered tofu is cooked, remove from pan and place onto paper towels to drain excess oil. In a large bowl, combine melted butter and hot sauce then add battered tofu to this mixture and toss. Serve immediately and enjoy! You'll Never Look at Chickpeas the Same! Preheat oven 400 degrees. In a bowl, toss all of the ingredients together. Line a baking pan with foil then spread the chickpeas evenly in pan. 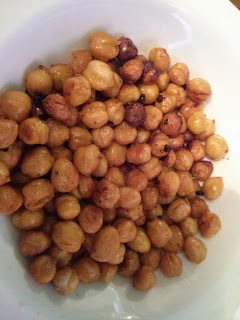 Bake for 40 minutes or longer depending on how crunchy you want your chickpeas. Stir them occasionally during baking and sprinkle with sea salt afterwards. Enjoy!